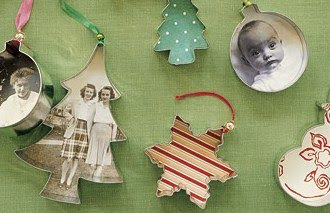 Keeping the Christmas Spirit Alive 365: Home Made Ornaments the Martha Stewart Way! 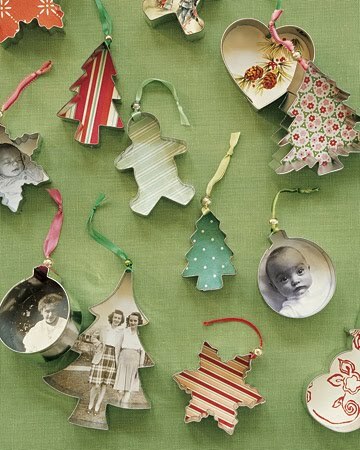 Home Made Ornaments the Martha Stewart Way! Hello sweet Christmas friends! 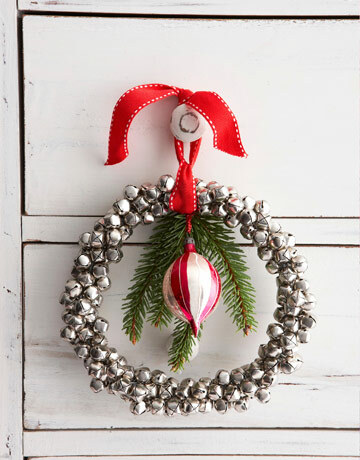 Have a look at these lovely ornaments made out of inexpensive aluminum cutters! 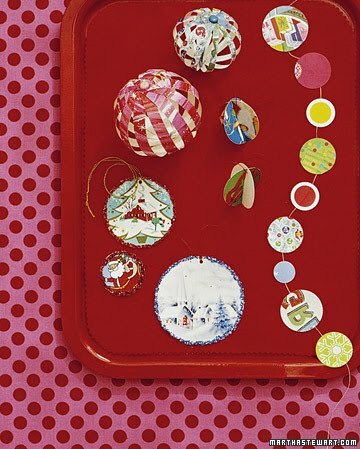 Thank you to Martha Stewart for having the most fabulous ideas for beautiful and unique home made ornaments this Christmas! She suggests using patterned papers, scrap booking paper or color-photocopy pictures and gluing them onto card stock. Just trace cutter on top and then cut out. Dab white craft glue along cutter's edge, press the paper in place and then let dry. Then all you need to do is thread narrow ribbon through needle, poke it between the paper and the cutter and then wrap the ribbon around top of the cutter. As a finishing touch, slip a bead over ribbon's ends and secure with a knot. I also love her idea of transforming last year's Christmas cards into this year's ornaments! 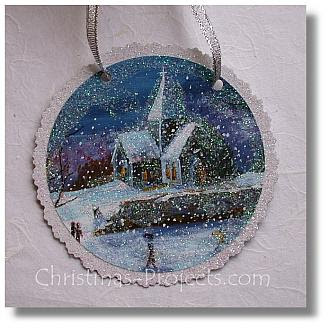 To make a glittery card ornament, cut out a circle from a card and punch a hole for string; add glue around the edge and sprinkle with glitter. 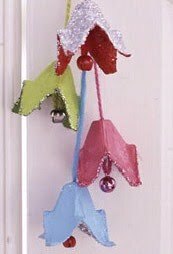 You can hang your new ornaments with card garlands or you can make use them as environmentally friendly gift tags, just like these ones from Christmas Projects.com. 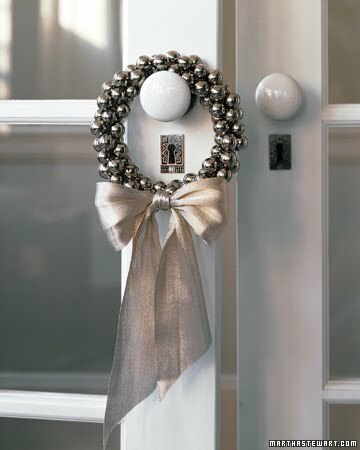 My favourite Martha Stewart decoration is this gorgeous Jingle bell wreath. Shape some wire into a circle (Martha suggests that you use 16-gauge wire but you could also recycle wire coat hangers!) and then make a closed loop at one end with some needle-nose pliers. Then thread some bells onto the open end and when the wire is full of jingly bells twist the unlooped end into a hook and fasten it onto the closed loop. To finish, tie a piece of ribbon into a bow and then secure it to the bottom of the wreath with 24-gauge wire. 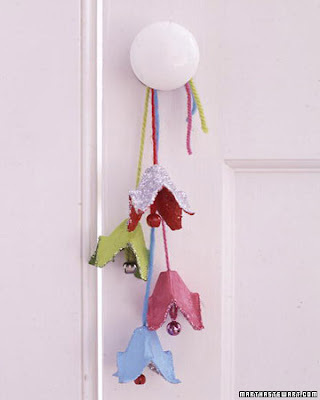 Make sure you save some bells so the kids can make their very own doorbells out of egg cartons, bells, glue and yarn. Just cut the cone-shape pieces that separate the eggs out of a cardboard carton and then paint each divider. Let them dry and then apply glue along the edge of the divider, all over the outside, or wherever you like, and sprinkle with glitter! Then just thread an embroidery needle with yarn through a bell's crown, and pull yarn through partway, slip a jingle bell onto the end of the yarn and then tie a knot above the jingle bell. You can tie several bells around a doorknob, staggering the lengths of the yarn. 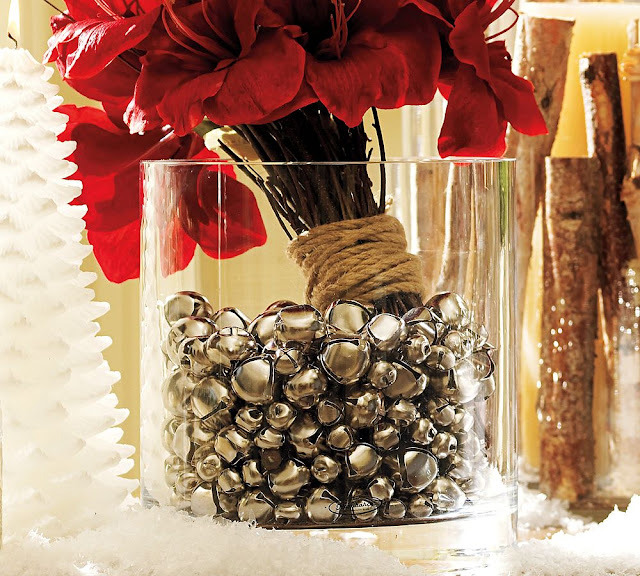 Now, don't worry if you buy too many jingle bells; you can make some gorgeous Christmas vignettes with the left over bells. 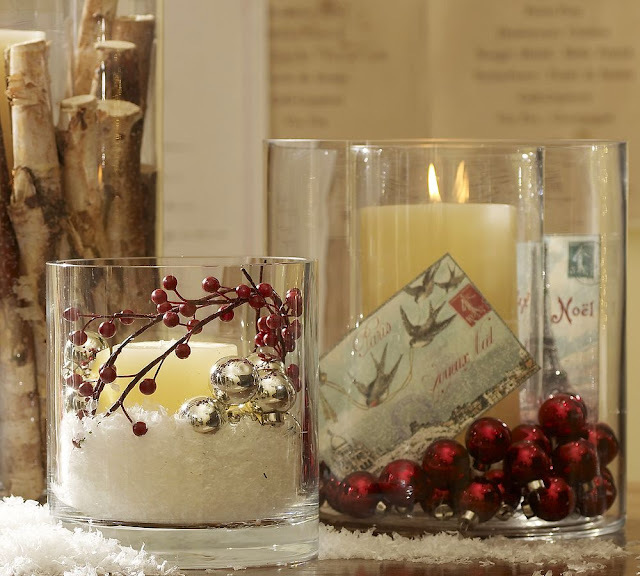 Just look at these festive Pottery Barn ideas! One last Martha moment before I go! Have you seen Martha in the Macy's ad? Thank you to Martha for these great ideas! Love these ideas, and I love seeing the different versions of basically the same idea. Thanks for joing me again this week! I love it Natasha! Martha Stewart and her crew are so creative. I can't wait to be able to watch her on T.V. again. Only 2 1/2 days left!!! It will be right in time for the holidays, woohoo. 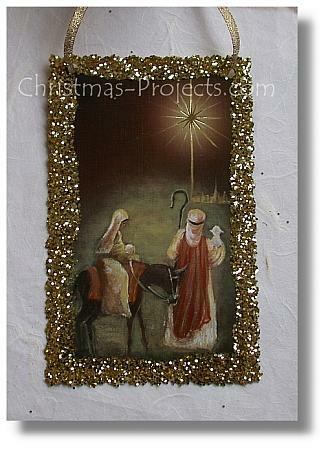 I am going to do that with the christmas cards. I have saved the ones that have a beautiful picture on them but didn't know what to do with them. I love that idea! 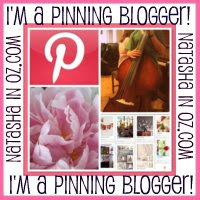 Wonderful post, Natasha! Thanks for sharing; love Martha's ideas. Lovely! I've seen the cookie cutter ornaments around this year in a few places and can't wait to try some!! A great use for small pieces of scrapbooking paper. I love the cookie cutter ideas!! I will be making some of them this season. Thanks for sharing. 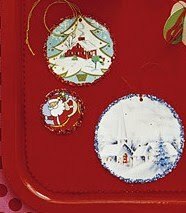 Oh, I have tons and tons of Christmas cookie cutters - because earlier this summer I was collecting them for a different craft project but now I am paralyzed with fear that it won't work - but these are simpler. Maybe I will change my plans. Wow!! What great projects these are!! I love the cookie cutter ornaments esp. for a Kitchen tree. And the Christmas Card one are so charming!! Natasha, great ideas, I love the cookie cutter ones! Thank you so much for sharing them! Lots of great ideas...now to make the time to do them. Like the bells in the jars. I am so glad you found my site, so that I could find yours. I am truly smiling right now. Listening to the Christmas Music - how nice. You have great ideas and photos. I am looking forward to following you. p.s. The Macy's add was fun. What a clever way to use cookie cutters!! I have to admit I do not do much baking and now I have a use for those cookie cutters!! great post...love the egg carton recycle project for kiddos. Oh my - year round Christmas!! So happy to have found you here -- looking forward to reading the older posts. I love the egg carton idea! Thanks for all those. I love the cookie cutter ornaments and the jingle bell wreaths. Gorgeous. Wow! this post is wonderful. 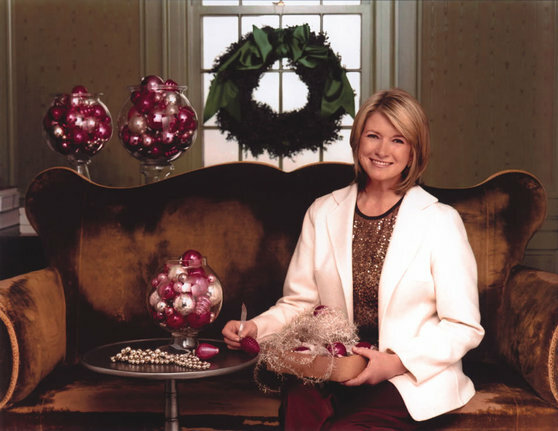 I love Martha Stewart! 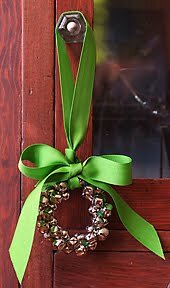 I made that jingle bell wreath not too long ago and I was really happy with how it turned out. 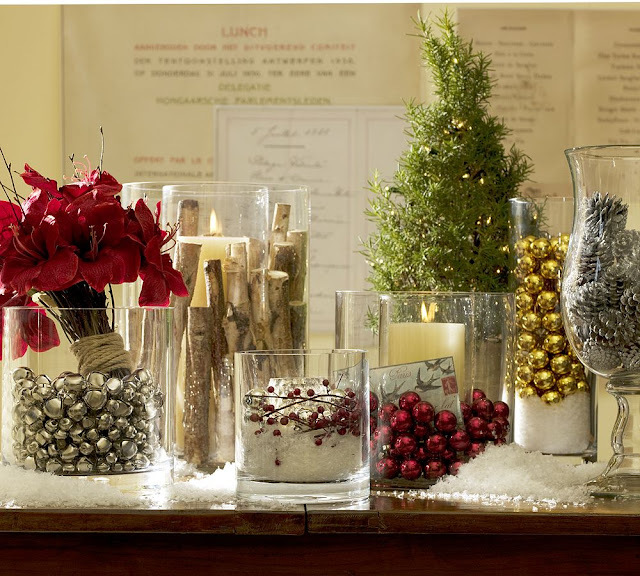 I love the Pottery Barn centerpieces too! My children are due home from school in 15 mins and we are overun by egg cartons ! so I say 'Let Christmas decoration making begin' The Christmas wreath is also gorgeous. 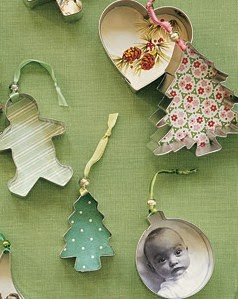 Great ideas...I love the idea of using last years cards as ornaments. I try to ignore Martha...but it is hard - so many good ideas! Tickled Pink is back this week. What a great group of fun ideas! 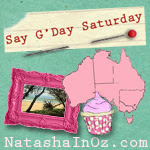 I especially love the recycled greeting card ideas (if only I could bear to cut any of them up!) and the coat hanger wreath. Happy Holidays! I'm completely inspired!I'd love to do some of these since I've changed up my colors this year! 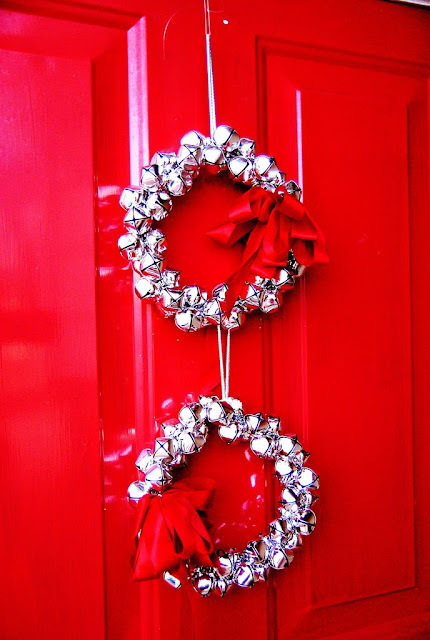 What a great way for me to deck the halls! Thanks bunches for stopping by All Things Merry & Brite! Please come back next Wednesday and inspire us some more!